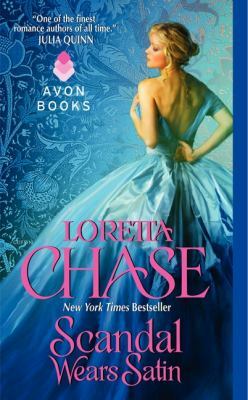 won’t be able to forget them.” Chase fans, as well as Stephanie Laurens and Julia Quinn readers, will most assuredly agree—especially when they meet feisty Sophy and the rakish earl whose help (and heart) she enlists in order to win the patronage of a dowager lady. Loretta Chase has worked in academe, retail, and the visual arts, as well as on the streets—as a meter maid— and in video, as a scriptwriter. She might have developed an excitingly checkered career had her spouse not nagged her into writing fiction. Her bestselling historical romances, set in the Regency and Romantic eras of the early nineteenth century, have won a number of awards, including the Romance Writers of America’s RITAï¿½.